For more than a decade, milkweed, that tall green plant with purple or orange flowers, has been rapidly declining in Midwestern states. Little research has been done on the abundance of milkweed in Western states, though many scientists suspect it may be struggling as well. 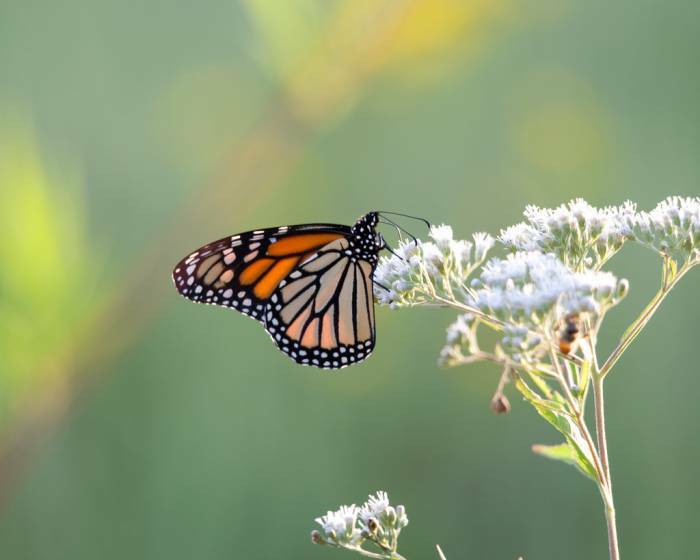 That’s because Western monarch butterflies, which depend on milkweed for food and habitat, have declined by nearly 90 percent in the past two decades. Both of these troubling trends — the decline of milkweed in the Midwest and of monarch butterflies — have coincided with a rise in agricultural use of the herbicide glyphosate. The study is the result of a settlement between the EPA and the Center for Biological Diversity after it sued the agency in 2007 for violating the Endangered Species Act. The ESA requires consultation for any federal action likely to jeopardize the habitat and survival of a listed species. The center claimed the EPA didn’t do its due diligence to figure out how such pesticides would affect rare species in the San Francisco Bay Area before registering the chemicals. In 2010, the court ruled that the EPA would have to examine the chemicals’ effects on 11 species in the region. Last month’s amendment forces the agency to take that study to a national level. Gloria Dickie is an editorial intern at High Country News. This article originally appeared at High Country News, HCN.org.